Every night before drifting off to sleep I find myself reaching for a certain few items that make me feel better, sleep better, and end the day on a good note. I like to call these things my bedside essentials. To make my life a little easier, they're always within an arms reach of my bed so I can simply grab for them after I'm already snuggled up in bed. This product is mostly used for setting makeup and tightening the appearance of pores, however I like to sometimes use this at night right after putting on moisturizer. Sephora's website says, "it contains essential oils and plant extracts to clarify and brighten the collection". It also has a nice calming scent that is perfect in the evening. I also like Fix + by MAC. My skin is naturally dry, but even more so in the Winter months. 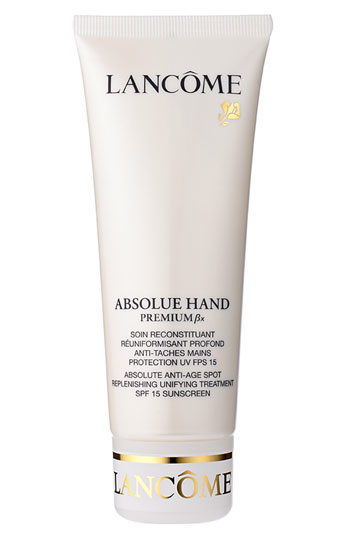 I honestly can't stand the feeling of lotion on the palms of my hands (haha, weird I know), but I love this one because it is a thick, non-greasy formula, and has a subtle, clean scent. It's also prettyyy expensive for a hand cream because of all it's anti-aging properties. However, it's lasted me a long time because I keep it on my bedside table and only use it at night. This is an absolute MUST for me. It's something I use every single night before going to sleep. I use lots of different ones but the Sugar Lip Treatment is a luxurious lip balm that is nourishing and silk smooth on the lips. It has a nice citrus scent that is fresh and unexpected. It claims to provide 6 hours of moisture which a just awesome, Again, this one isn't cheap for a lip balm so I tend to just use this at night, rather than all throughout the day. I simply love that this a even a thing. With essential oils everywhere now this is a nifty, little product to help you on those sleepless nights, Lavender essential oils are known for calming and soothing. A couple of sprays of this and you'll be dozing off in no time. I got this for Christmas and I love it! It's a huge bottle and has actual rosebud petals inside. Multi-use oils can be used on skin, hair, or nails to add moisture and shine. I typically use this on my nails & cuticles but lately my skin has been so dry that I've been patting just a few drops (to not get greasy) of this onto my face every night. I'm loving it. There's something about laying in your bed at night that brings out all kinds of thoughts, for me at least. 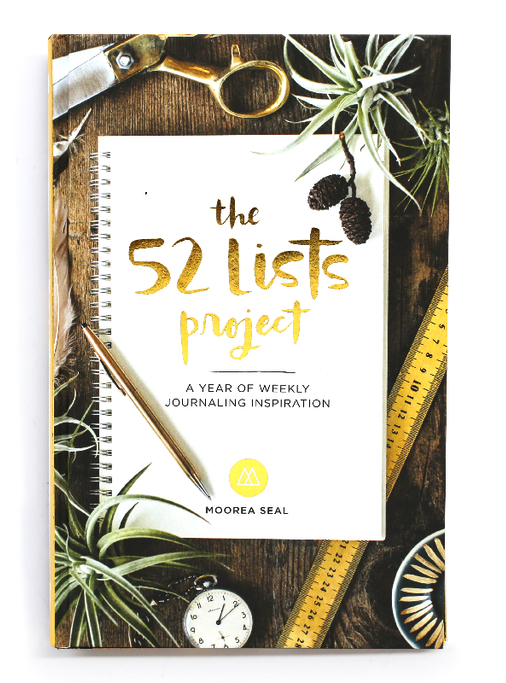 Another Christmas gift, this list making journal is full of fun and insightful list to make each week of the year. The imagery is beautiful and it's perfect to do before bed for some "me time" and reflection. You may think including a pen in this post is silly but I am a serious pen & pencil lover. I have been ever since I was little. I used to ask for school supplies for Christmas okay? Anyway, you need a pen to write in your journal with. My favorites have an extra fine point, and I've been using this one by Pilot for a couple of years now and can be found scattered around my apartment. Having my phone as a bedside essential is pretty obvious, when do we not have our phones by our side? I use it as my alarm clock and I can't deny that checking social media is part of my nightly ritual. Last but not least, I keep the headphones close because I end my night every night, talking or face-timing with my boyfriend who is 900 miles away. After hanging up, another layer of lip balm and then click, out goes the light and I drift off the sleep.